Spinning on Slots, also known as fruit machines, is the most popular gambling method in casinos. Slot machines have three or more reels showing several images. When a start button is pressed, the reels start to spin. When the spinning stops and two or more of the same graphics appears in a row, the player gets winning points or if not, lose one or more points. But at first, to play you have to pay. Putting in money, you will get some credits (points) which give the right to play a number of times. You can play the game using the credits trying to win more credits than you had put in at the beginning, than stop, take the profit and get paid. Or playing through all your credits trying but failing without a win and take your loss. Generally the winning combinations will stand in a horizontal row, but on some devices diagonal or vertical rows of equal images or any other patterns (specified by the manufacturer) will deliver also points. More variations are possible. Some slots have more reels than just the usual 3. - online slot games are presented in many different themes. Sports animals, fairies, cars, … Whatever you like! - check out the costs to play in relation with the possible amount you can win. For example wagering €50 to win a ten thousand euro jackpot can be a good deal. Wagering requirements of €50 in regards of winning a jackpot of €150 seems less acceptable. - has the game just one or multiple pay lines (winning rows) to offer. As more pay lines to bet on the same time, how more the costs, but also a higher chance to win. Especially in case of progressive jackpots (no limited jackpot) this could be needed increasing your chances to win. Now let’s play. Choose your coin size and place your bet. Remember it’s better to wager many times with small values instead of less times with one or two big stakes. On this page you can find a selection of top-leading casinos providing slot games!! No access? Search allowed casinos by country! Slots of Vegas in the picture!! $30 Free in Slot Tournaments Only! Redeem Coupon: TOURNAMENTCHIP NO DEPOSIT REQUIRED! Looking for more Free No Deposit bonuses? Click here! Limited time only! Luxury Casino is rewarding your first five deposits with 5 generous match bonuses, totalling $1000 in free money! Symbols – Symbols are the pictures that spin around on the reels. The symbols normally correspond with the theme of a particular online slot, and can literally take on any shape imaginable. Popular symbols are cherries, the number seven etc. 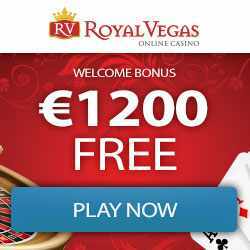 Reels – The reels are a fundamental part of any online slot, and are essentially a wheel on which a variety of symbols appear. When you press the spin button, the reels spin around and then come to a stop in a random position. Pay-lines – Pay-lines can best be described as the lines on which winning combinations appear. Lately, online slots have multiple pay-lines which can either be horizontal, diagonal or in a zigzag nature. Scatter Symbol – Scatter symbols add a level of randomness to any online slot. These symbols activate bonus games, bonus multipliers and don’t have to be on a particular pay-line to assist you in completing a winning combination. Some online slots require more than one scatter on any pay-line for the symbol to activate. Wild Symbol - The Wild symbol can substitute for any other symbol on the reels to complete a winning combination. These are very much like having a joker, and often come in all shapes and sizes.